HP and Lenovo can shake their fists all they want, but they won't get Threadripper this year. Clarification: Alienware claimed a worldwide exclusive on Threadripper, but that exclusive is only among major PC vendor rivals such as HP and Lenovo. Smaller boutique OEMs will indeed be able to build Threadripper-based PCs at launch, as will DIY PC builders. If you can't wait to order a new PC with AMD’s crazy 16-core Threadripper CPU, there’s bad news and good news. The bad news is, Dell subsidiary Alienware announced Monday afternoon that it has secured an exclusive deal for AMD’s high-end chip through the end of the year. But before you get out your torches and pitchforks, there's also good news here. The exclusive applies only to big-name PC rivals like HP and Lenovo. Smaller boutique gaming PC vendors will be able to build Threadripper systems, and DIY PC builders will have access to it, too. Why this matters: AMD’s much-hyped Threadripper promises to bring the same tough competition to Intel’s high-end desktop CPUs that its Ryzen 7 and Ryzen 5 chips did for Intel’s Core i5 and Core i7 chips. Alienware’s exclusive is a major coup for the gaming PC company, but it's also certain to anger competing PC makers and their fans. When is an exclusive not an exclusive? Alienware's so-called exclusive is a matter of semantics. "Through 2017, (Alienware) will be the exclusive OEM partner to deliver AMD Ryzen Threadripper pre-built systems to the market and the high-end 16-core will be factory overclocked across all 16-cores and 32 logical threads," Alienware said. What the company meant by "OEM" is major PC vendors like HP and Lenovo, rivals to its parent company, Dell. Smaller, boutique PC companies such as Origin PC, Maingear, iBuypower, and Cyberpower will be able to build machines using Threadripper this year, as will DIY PC builders. 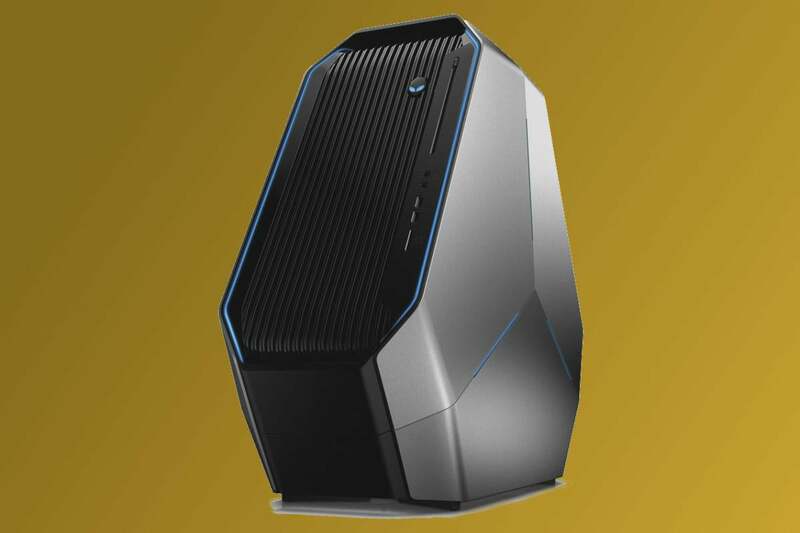 Alienware said it will use the 16-core variant and lower in its updated Area-51 PC, which can take liquid cooling and run up to three GPUs. Alienware may have a partial lock on Threadripper, but Threadripper doesn't have a lock on Alienware. The company said it will also offer Intel’s new 12-core Skylake-X for the Area-51 product line. AMD officials sidestepped any questions of controversy among other PC makers, instead saying the exclusive with Alienware would help build momentum for the new chip. “Interest from all our OEM partners into Ryzen opportunities have been strong, as was showcased at Computex Taipei this year," AMD officials told PCWorld. "Building on that momentum, we are incredibly excited that Alienware is our lead Ryzen Threadripper OEM partner, with its leadership OEM position in the HEDT market. We look forward to showcasing the full potential of our Ryzen Threadripper CPU and TR4 platform through our Alienware partnership, as well as our partnership with other key HEDT component DIY hardware partners." Alienware has an exclusive on AMD’s hot new Ryzen Threadripper for the entire year. Alienware's more substantive news is that you'll be able to buy an Area-51 Threadripper Edition as soon as July 27. Maybe, just maybe, that means consumers will be able to get their paws on the CPU at that time, too. Intel fans still have to be patient, though. Alienware won't say when you can buy one with an Intel Core i9 chip inside. Intel is starting a gradual release of Core i9 next week, so it's a mystery or something of a burn that a major gaming PC vendor won't be carrying it immediately. 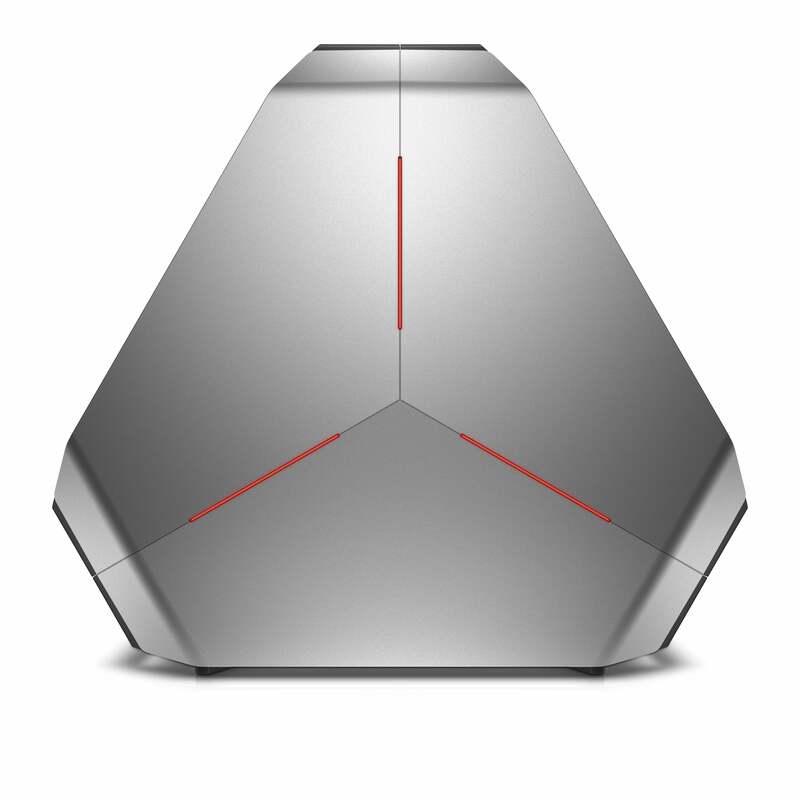 Alienware hasn't put a price on either version yet, but the configurations look mean enough. The Area-51 Threadripper Edition will come factory overclocked across all cores the company said and with up to 1TB M.2 SSDs and 64GB of DDR4/2933. CPU options include the top-dog 16-core Threadripper chip, with options for GeForce GTX 1080 ti cards in single or SLI configuration, or Radeon RX 480 GPUs in single, dual and three-way Crossfire. PSU options include 850-watt and 1,500-watt power supplies. CPU options include the 16-core version of Threadripper and, in the first confirmation of a lower-end chip, Alienware says it will also offer a 12-core Threadripper. The Area-51 PC with Core i9 chips will offer the same GPU and PSU configuration as the Threadripper Edition, but the CPUs will obviously differ. Alienware will offer the 6-core Core i7-7800X, the 8-core Core i9-7820X and the 10-core Core i9-7900X. If you're wondering why there are no options for 12-, 14-, 16-, and 18-core Core i9 chips, it's because they won't be out until later this year. Of course, the bigger question is whether the regular gamer even needs such an over-the-top CPU. Alienware officials say some certainly can justify it. Those who do live-streaming while gaming plus additional encoding can also benefit from CPUs with a lot more cores, Sutphen said. But he admitted it's a little bit of a chicken-and-egg scenario from a pure gaming perspective, because game makers can't make money developing for niche platforms. Azor is likely correct. A 16-core Threadripper system is about wanting more rather than needing more, for most gamers.